Jet Propulsion Laboratory. (2011, March 8). NASA finds polar ice adding more to rising seas. Retrieved March 25, 2011. Jet Propulsion Laboratory. (n.d.) GRACE Tellus. Retrieved March 25, 2011. Laboratoire de Glaciologie et Géophysique de l'Environnement, Universite Joseph Fourier (n.d.) Dynamics of coastal outlet glaciers and implications on the overall mass balance of Antarctica, Terre-Adelie Sector. Retrieved March 25, 2011. University of Texas at Austin, Center for Space Research (n.d.) GRACE: Gravity Recovery and Climate Experiment. Retrieved March 25, 2011. NASA Earth Observatory image by Jesse Allen and Robert Simmon, using ALI data from the EO-1 Team. Mass balance data from Eric Rignot, JPL. Caption by Mike Carlowicz, with background from Alan Buis. Scott, M. (2009, April 20). Sea ice. Earth Observatory. Retrieved Oct. 21, 2011. State of the Cryosphere. (2010, Oct. 20). Ice shelves. National Snow and Ice Data Center. Retrieved Oct. 21, 2011. NASA Earth Observatory image created by Jesse Allen and Robert Simmon, using EO-1 ALI data provided courtesy of the NASA EO-1 team. Caption by Michon Scott based on image interpretation by Ted Scambos, National Snow and Ice Data Center. Canadian Ice Service. (2011). Petermann Ice Island updates. Retrieved Sept. 16, 2011. NASA Earth Observatory. (2011, June 25). Ice island off Labrador. This image, astronaut photograph ISS028-E-34749, was acquired on Aug. 29, 2011, with a Nikon D2Xs digital camera using a 400 mm lens and is provided by the ISS Crew Earth Observations experiment and Image Science and Analysis Laboratory, Johnson Space Center. The image was taken by the Expedition 28 crew. The image has been cropped and enhanced to improve contrast. Lens artifacts have been removed. The International Space Station Program supports the laboratory as part of the ISS National Lab to help astronauts take pictures of Earth that will be of the greatest value to scientists and the public and to make those images freely available on the Internet. Additional images taken by astronauts and cosmonauts can be viewed at the NASA/JSC Gateway to Astronaut Photography of Earth. Caption by Mike Carlowicz. All About Sea Ice. Polynyas. National Snow and Ice Data Center. Retrieved Nov. 21, 2011. Antarctica: The End of the Earth. Unequaled extremes. PBS Nature. Retrieved Nov. 21, 2011. NASA image courtesy of Jeff Schmaltz, LANCE/EOSDIS MODIS Rapid Response Team at NASA GSFC. Caption by Michon Scott, based on image interpretation by Walt Meier and Ted Scambos, National Snow and Ice Data Center. Encyclopedia Britannica. (2011). Franz Josef Land. Retrieved Aug. 22, 2011. Forman, S. L., Lubinski, D., Miller, G. H., Matishov, G. G., Korsun, S., Snyder, J., Herlihy, F., Weihe, R., & Myslivets, V. (1996). Postglacial emergence of western Franz Josef Land, Russian, and retreat of the Barents Sea ice sheet. Quaternary Science Reviews, 15(1), 77-90. Ntaflos, T., & Richter, W. (2003). Geochemical constraints on the origin of the Continental Flood Basalt magmatism in Franz Josef Land, Arctic Russia. European Journal of Mineralogy, 15(4), 649-663. Volkova, I. B., Bekh-Ivanov, D. E., & Sidorova, I. N. (2001). New find of cuticular coal in the Franz Josef Land. Lithology and Mineral Resources, 36(2), 187-190. NASA image courtesy of Jeff Schmaltz, MODIS Rapid Response, NASA Goddard Space Flight Center. Caption by Michon Scott. Myers-Smith, I. H., Forbes, B. C., Wilmking, M., Hallinger, M., Lantz, T., Blok, D., Tape, K. D., et al. (2011). Shrub expansion in tundra ecosystems: Dynamics, impacts, and research priorities. Environmental Research Letters, 6(4), 045509. Schuur, E. A. G., Vogel, J. G., Crummer, K. G., Lee, H., Sickman, J. O., & Osterkamp, T. E. (2009). The effect of permafrost thaw on old carbon release and net carbon exchange from tundra. Nature, 459(7246), 556-559. GeoEye-1 image copyright GeoEye, provided through the NGA Commercial Imagery Program. Gambit satellite image courtesy of the U.S. Geological Survey. Caption by Rebecca Lindsey, NOAA ClimateWatch Magazine. App. Requirements: Compatible with iPhone 3GS, iPhone 4, iPhone 4S, iPod touch (3rd generation), iPod touch (4th generation), and iPad. Requires iOS 5.0 or later. 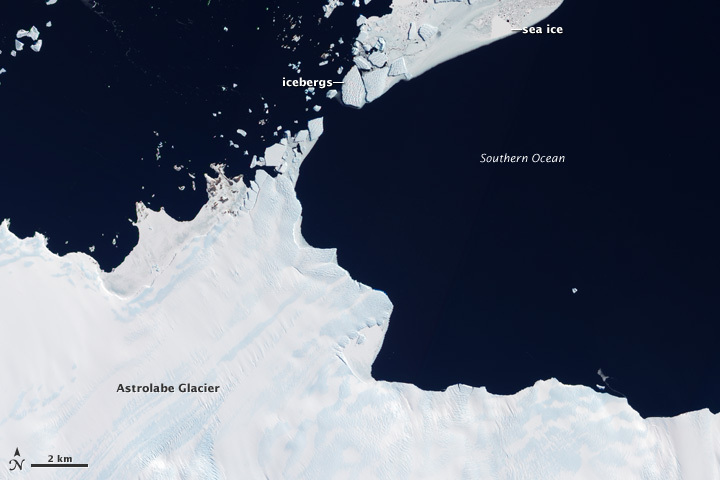 Images taken by the NASA/USGS Landsat satellite. Courtesy of Jim Williams, NASA GSFC Scientific Visualization Studio, and the Landsat 7 Science Team. From NASA Global Climate Change State of Flux gallery. Photographed by G. D. Hazard in 1891 and by Bruce F. Molnia in 2005. Credit: The Glacier Photograph Collection. Boulder, CO, and the National Snow and Ice Data Center/World Data Center for Glaciology. 1956 picture taken by Erwin Schneider, courtesy of the Association for Comparative Alpine Research, Munich. 2007 image photographed by Alton Byers of the Mountain Institute. Both from the archives of Alton Byers. 1960 photograph taken by Bradford Washburn. 2007 image taken by David Arnold. Courtesy of Panopticon Gallery, Boston. 1898 picture taken by R.S. Brackett; published in 1964 in "A Sixty Year Record" by H.A. Waldrop, University of Colorado Studies, Series in Geology. 2003 photo taken by Tad Pfeffer. Images courtesy of Tad Pfeffer, Institute of Arctic and Alpine Research, University of Colorado. 1956 image photographed by Erwin Schneider. Courtesy of the Association for Comparative Alpine Research, Munich, and archives of Alton Byers, the Mountain Institute. 2007 photo taken by Alton Byers. Courtesy of the archives of Alton Byers, the Mountain Institute. July 27, 1909: Photograph by Ulysses S. Grant in the collection of the National Snow and Ice Data Center/World Data Center for Glaciology. Public domain by virtue of age. 2005: Photograph by Bruce F. Molnia of the U.S. Geological Survey, in the collection of the National Snow and Ice Data Center/World Data Center for Glaciology. Public domain as a work of the U.S. government. This specific comparison image is the work of Robert A. Rohde for Global Warming Art. The original elements of this composition are released under the Global Warming Art license. This image is based on NASA Terra/MODIS imagery, which belongs to the public domain. Domack, E., Duran, D., Leventer, A., Ishman, S., Doane, S., McCallum, S., Amblas, D., Ring, J., Gilbert, R., & Prentice, M. (2005). Stability of the Larsen B ice shelf on the Antarctic Peninsula during the Holocene epoch. Nature 436, 681-685. Scambos, T., Hulbe, C., Fahnestock, M., & Bohlander, J. (2000). The link between climate warming and breakup of ice shelves in the Antarctic Peninsula. Journal of Glaciology 46, 516–530. Photograph by unknown photographer in the collection of the National Snow and Ice Data Center/World Data Center for Glaciology. Public domain by virtue of age. 2005: Photograph by Bruce F. Molnia of the U.S. Geological Survey, in the collection of the National Snow and Ice Data Center/World Data Center for Glaciology. Public domain as a work of the U.S. government. Dyurgerov, M. B. (2002). Glacier mass balance and regime: Data of measurements and analysis. Occasional Paper 55. Dyurgerov, M. B. & Meier, M. F. (2005). Glaciers and the changing Earth system: A 2004 snapshot. Institute of Arctic and Alpine Research. Occasional Paper 58. Oerlemans, J. H. (2005). Extracting a climate signal from 169 glacier records. Science, 308, 675-677. This work has been released into the public domain by its author, Peltoms at the wikipedia project. This applies worldwide. In case this is not legally possible: Peltoms grants anyone the right to use this work for any purpose, without any conditions, unless such conditions are required by law. This image is a work of the National Oceanic and Atmospheric Administration, taken or made during the course of an employee's official duties. As works of the United States, all NOAA images are in the public domain. Released into the public domain by the U.S. Geological Survey. Hall, M. H. P. (1994). Predicting the impact of climate change on glacier and vegetation distribution in Glacier National Park to the Year 2100. Syracuse, NY: State University of New York, 192 pp. M.S. thesis. Photograph by Bruce F. Molnia. The image is a work of a USGS employee, taken or made during the course of the person’s official duties, and is in the public domain. Intergovernmental Panel on Climate Change (2007a). Climate change 2007: The physical science basis: Contribution of working group I to the Fourth Assessment Report of the IPCC. Cambridge: Cambridge University Press. ISBN 978 0521 88009-1. Overpeck, J. T., Otto-Bliesner, B. L., Miller, G. H., Muhs, D. R., Alley, R. B., & Kiehl, J. T. (2006). Paleoclimatic evidence for future ice sheet instability and rapid sea level rise. Science, 311(5768), 1747-1750. Rodriguez, E., Morris, C. S., Belz, J. E., Chapin, E. C., Martin, J. M., Daffer, W., & Hensley, S. (2005). An assessment of the SRTM topographic products, Technical Report JPL D-31639. Pasadena, CA: Jet Propulsion Laboratory. The projections are adapted from Figure 11.1 of the Third Assessment Report of the IPCC. Alley, R. B., Clark, P. U., Huybrechts, P., & Joughin, I. (2005). Ice sheet and sea level changes. Science, 310(5747), 456-460. Houghton, J. T., Ding, Y., Griggs, D. J., Noguer, M., van der Linden, P. J., Dai, X., Maskell, K., & Johnson, C. A. (eds. ): Climate change 2001: The scientific basis: Contribution of working group I to the Third Assessment Report of the Intergovernmental Panel on Climate Change. Cambridge, UK: Cambridge University Press. ISBN 0521807670. Overpeck, J. T., Otto-Bliesner, B. L, Miller, G. H., Muhs, D. R., Alley, R. B., & Kiehl, J. T. (2006). Paleoclimatic evidence for future ice sheet instability and rapid sea level rise. Science, 311(5768), 1747-1750. Velicogna, I., & Wahr, J. (2006). Measurements of time-variable gravity show mass loss in Antarctica. Science, 311(5768), 1754-1756. Douglas, B. C. (1997). Global sea rise: A redetermination. Surveys in Geophysics, 18, 279-292. Text by Adam Voiland. Visualization by the Scientific Visualization Studio based at NASA Goddard Space Flight Center.